Company of Makers have teamed up with the Maker’s Guild to deliver a short introduction to the world of 3D printing. 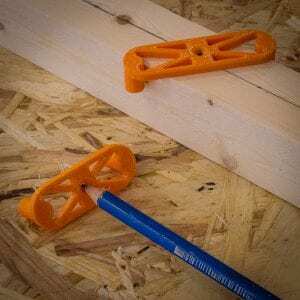 Centre Finder Jig – Used on straight pieces of material. Set it on the edge and turn it until both round parts touch. 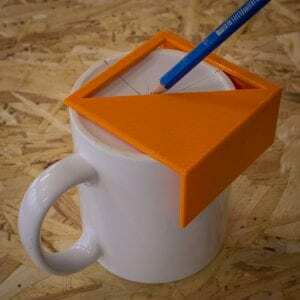 You can hold a pencil in the hole and run it along the length to draw centre lines. Discover more about the world of 3D printing and its practical applications. Learn the basics of digital 3D modelling, then 3D print your designs on the day to take home and add to your toolbox. This workshop is a pilot and should it be as successful as we anticipate, we will be running more. So if you can’t attend on the 23rd please get in touch to register your interest for future dates. We only have 6 places available on our initial foray into 3D printing – So if you’re interested get in touch ASAP! This free workshop is open to anyone who has served in Her Majesty’s Armed Forces – So if you’re interested in 3D printing, or have any questions, give call us on 023 92 367 309. Cylinder Centre Finder – This jig is designed to help mark up the centre point of cylindrical objects. Rest the edge of the jig on two sides the object and mark a straight line, then repeat the process creating a cross to find the exact centre of the cylinder.